The main problem during learning a foreign language is having regular contact with it. Lessons at school or at home aren’t enough. The best way to speak perfectly is contact with ‘real’ language. Try to listen to the radio or watching films with subtitles in English. It’s also a good solution to have a friend, who is a native speaker. You don’t feel ashamed during conversation and he can take note of your mistakes, correct it and help how to speak. When you don’t know a person like this, try to find someone on facebook or skype. 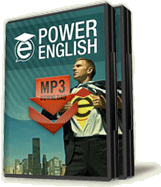 Learn more about Power English lessons by AJ Hoge! You can practice your writing and talking. There are two things, how to learn good pronunciation. First you have to become familiar, how to pronounce words properly and secondly you have to practice it. You don’t must feel ashamed, just freely. First steps are the worst. But then you will speak better and you will really like it. Everyone makes mistakes. The most important thing is that a person who you talks with, should understand you. Don’t give up! Good luck! thanks for this, your website is such helpful!!! thanks for your website it acturally very helpful! !